Before I moved to Italy, I was never good at remembering and identifying flowers and trees. No matter how many times someone told me “this is a peony and that’s a petunia,” the information just didn’t stick in my brain–like it just wasn’t wired that way. Thankfully things have since changed, and I find my memory working in perfect harmony with nature. I am always happy to learn a new leaf shape, a new flower, and have it stick in my head without much effort especially since I am surrounded by plenty of flowers I’ve never seen before (not that I remember anyway). For weeks I had been meaning to photograph some interesting flowers that I pass on my walk with the dogs. I finally grabbed the camera the other day, afraid that the magenta petals would shrivel up before I had a chance to immortalize them. For some reason, I kept thinking: “I *know* my mom would know what these are” but how could I describe them over the phone? So I came home and put the photos up on Flickr, and asked if anyone knew what they were called. 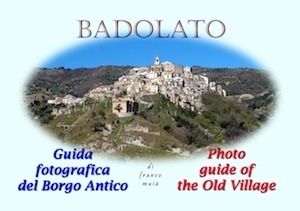 My new friend Doisemum kindly responded with a link in Italian telling me that these are Bocca di Leone (lion’s mouth) in Italian. P had actually told me they were called something that starts with a B and ends in “leone” so he was on the right track. 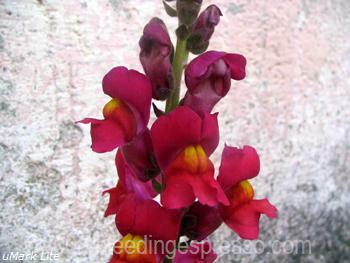 Then I searched for the name in English and found out that these are Snapdragons. Only I had no idea why I thought that. No specific memory in which my mom talked about snapdragons came to mind, but I just had this overwhelming feeling that I had to tell her about these flowers. Later that evening, I walked with the pooches again and couldn’t believe what I saw–the very same flowers that I had photographed hours before had been pulled up from the roots and left to rot on the pavement! I guess someone thought they were weeds (mind you no one lives where these flowers grow) and decided to do his/her civic duty–and then let them sit there in small piles on the ground, as if that looked prettier. Later I told my mom about the whole strange experience–and her reaction when I told her I found out what “those” flowers” were? Turns out that she has very fond memories of playing with these as a child, making their “mouths” open up and talk. It is an understatement to say that my mom doesn’t have many fond memories from childhood, so this was extra-special for her to relive and also for me to hear. I can only conclude that she must have told me about this somewhere along the way and that my brain kept just enough information handy for someday when I could truly appreciate the Story of the Snapdragons–for when it was rewired to handle it. And now I will always remember what snapdragons look like and why it’s important that I stop and make them talk. My snapdragons are meowing and barking too…as well as roaring 😉 And yes I usually do pinch the sides, but I couldn’t manage to do that and take a decent photo at the same time! I love them too, and we also made them talk. So fun! I can’t believe I’ve missed out on this for 30 years! Beautiful pictures. 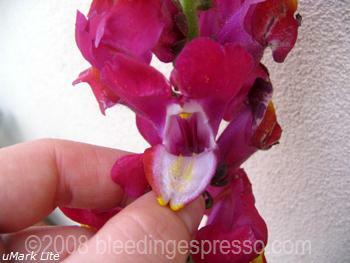 How funny, my mom also loved to play with snapdragons as a child! Anali, to tell you the truth, I had wanted to take those flowers for a while, but I *had* to get photos in their natural environment first. Then after I took the photos, I thought, well I’ll let them bloom just a little more…but someone had other plans! Thanks you for posting those beautiful pictures. I’ll have to show them to my wife as we don’t see them growing around here. Now I will always remember snapdragons. 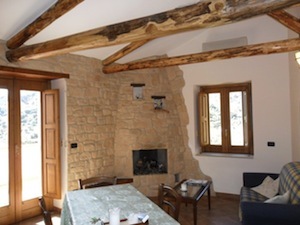 I have the WORST memory for plants and flowers, and it only seems worse since moving to Italy, everybody knows their plants! If you give me one of your stories for every plant, I will surely remember them… there is an idea for a book! 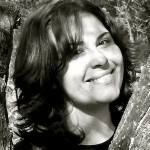 Hah, that’s definitely an interesting idea Beatriz…. a black thumb of death when it comes to plants. Thanks for the beautiful pics and memories. I’ll try and make the flowers talk to my kids if and when it stops raining. We were in the same boat less than a week ago Cherrye–always heard the name but had no idea what they looked like! I remember playing with them as a child too, I seem to remember that there was a part that you squeezed to make the mouth open. It is all a bit hazy but I was an only child until I was eight and spent a lot of time in the garden playing by myself … and the snapdragons! Yes if you squeeze the sides, they talk! Ah to be playing in the garden…. They are easy to grow, Michele, and delightful as cut flowers all summer. Buy some seeds and a big tub. Will keep that in mind for the new house where I’ll have more balcony space–here it’s all taken up by edible plants (plus some roses that were a gift and a jasmine I’m plant-sitting). Look at all of these people saying they have played with them and seen these flowers before. We must not have them in Australia and there are no wild flowers around in Rome so I have never (until reading your post) seen or heard of them. Pretty though. 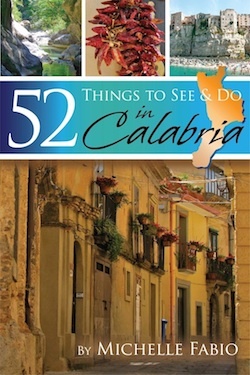 When I go back to Calabria I’ll keep my eyes opened. What a sweet post. 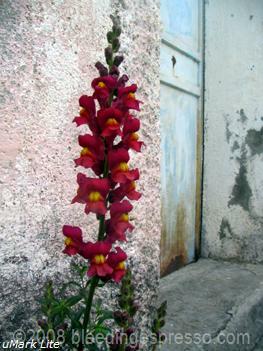 Snapdragons are so evocative of childhood, my grandma always grew them in her back garden so they remind me of her. My children love them too. 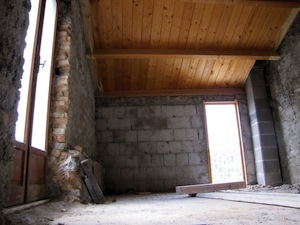 I think I might try and grow some here once we clear the rubble. I love the way you connect the richness of the past with it’s relevance in the present, and then punctuate it all with gorgeous pictures. These are beautiful. Flowers are my favorite things to photograph. Be still my heart. That line! You’re lovely. I never remember the names of flowers, either. What a shame that someone pulled up the pretty wild flowers! And that’s a sweet story about your mom. Glad you could share that with her. LOved this post and the pictures because it brought back so many great memories of many of the flowers my grandfather always had blooming in his flower garden in the side yard of our house. (No more, cause I have a black thumb with plants -indoors and outdoors too.) He always had a bunch of snapdragons planted though and they were always so beautiful. I never thought to play with them -opening the bloom to make their mouthes open though. I *LOVE* snapdragons, they are some of my favorite flowers, and they come in an array of colors… I always make them roar… it IS important to do that when you pass by them. There are rules about these things, you know. Thank you for sharing yours, that is a lovely color! Michelle, I learned how to “make them talk” by my Italian grandma when I was really little, and have loved them ever since mainly for that childhood memory. I have the remnants of a rogue snapdragon in one of my oversized terra cotta pots on one of my balconies that tends to surprise me every summer or every other summer by reappearing. Seeing them always reminds me fondly of my childhood, too. Your snapdragons sound so lovely and lively 🙂 Thanks for sharing your memories! Grandma used to plant pots of those out on the balcony. They are one of my favorites; we had wild ones everywhere when I was a kid in Oregon. I could feel your heartfelt words just popping from the screen. Nice post. Especially since Earth Day is domani. Thanks Robin; Earth Day has definitely been on my mind as well…. 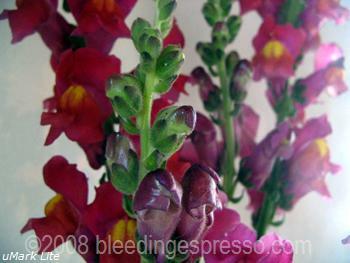 I saw the photos and it reminded me of my mom before I recognized them as snapdragons. So many memories among us; thanks for stopping by! Oh I hope your memory comes up with it and I hope you’ll share it! 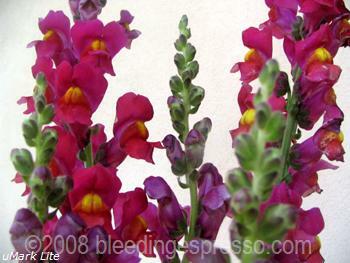 I also love snapdragons; never see them here in Moscow. I think your story about how you remembered subconsciously what your mom had said about them is truly special. Thanks for writing about it!